What if you could build your devotee community, deepen your Krishna consciousness, give others the opportunity to learn about bhakti, and perform the dharma of the age all at the same time? 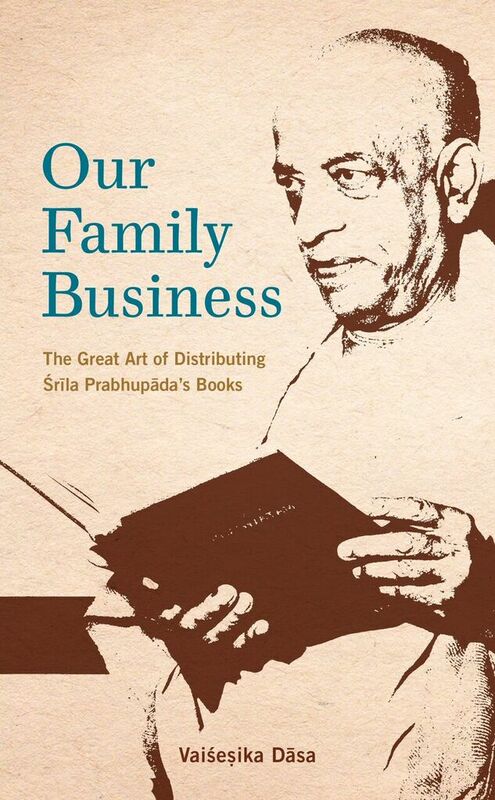 In this very readable book, Vaisesika Dasa discusses both why we should join the family business of distributing transcendental knowledge through the written word as well as how book distribution benefits distributors, the devotional community, and all those who receive one of Srila Prabhupada’s books. •	The history of book distribution in ISKCON. •	How book distribution is “literary kirtana” and perfectly links one to the yuga-dharma. •	How performing book distribution is high sadhana and instills a taste for hearing and chanting. •	The Four Laws of Book Distribution – proven principles guaranteed to improve and increase your book distribution. •	Fun and practical ways to involve your whole community in sankirtana.